We’re getting closer and closer to Christmas. The weeks just seem to be flying by now! It’s such a magical time when you are a child, although I think some of that magic returns when you have a child yourself. Here are some lovely gift ideas for the children you’re buying for this year. If you’re looking for gifts for babies and toddlers, it may be worth taking a look at The Best Christmas Gifts for 0-2 year olds as you’ll find that more tailored. 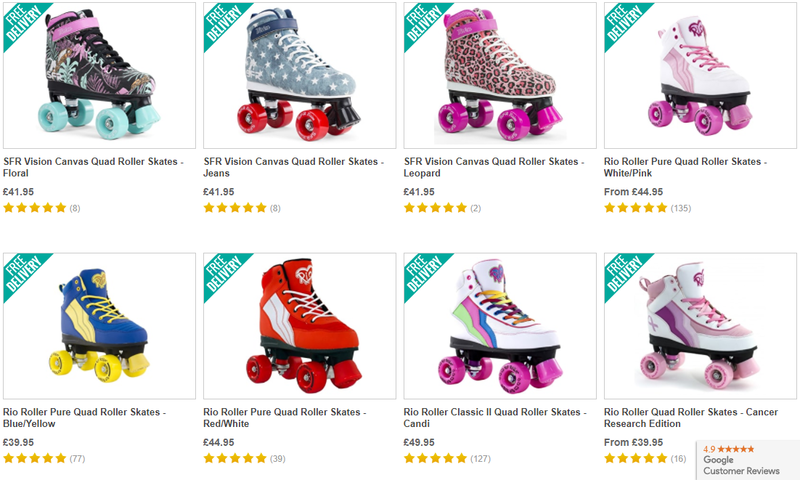 What about a pair of roller skates? I remember my first roller skates – they were THOSE iconic red, blue and yellow Fisher Price ones. I loved them! These ones are much more modern and come in so many gorgeous designs and colours. there are even vegan options. Prices vary depending on design. I think I’d choose Candi (the white ones with the green, pink and blue stripes and laces). I love how retro they look! 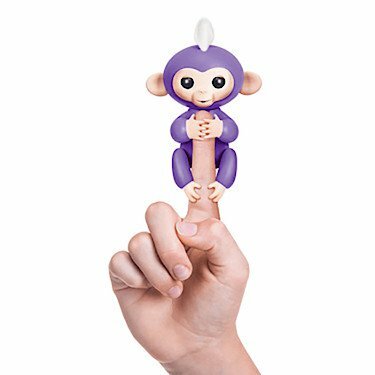 Fingerlings are one of the most popular toys of the year! In fact, they are sold out in many places. The Entertainer are offering guaranteed Christmas delivery, though, with a current estimated delivery date of 16th December. I love the purple one! These are little baby monkeys that interact with you and cling onto things, such as your finger! They know when they’re being stroked, hung upside down and spoken to and show you how they’re feeling. 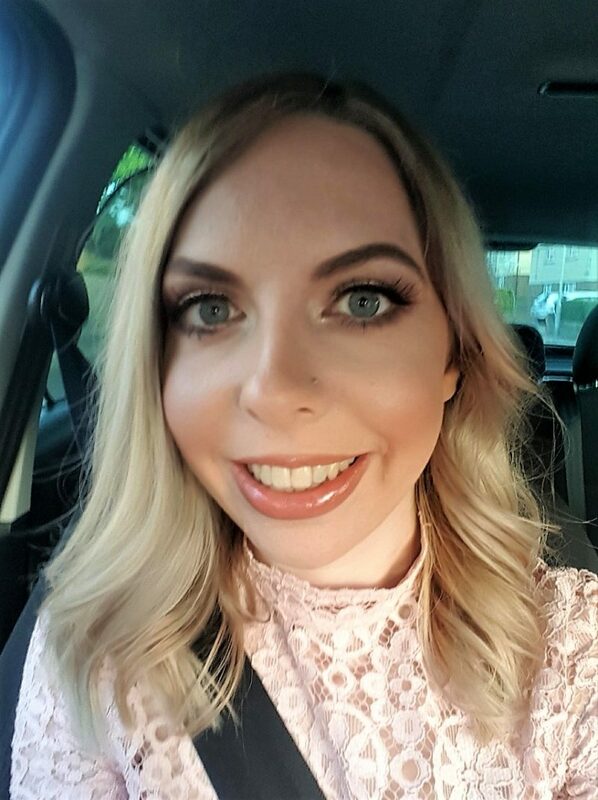 I got to try them out in real life at BlogOn in September and thought they were brilliant. These retail for around £15. Onesies are a popular, cosy choice. 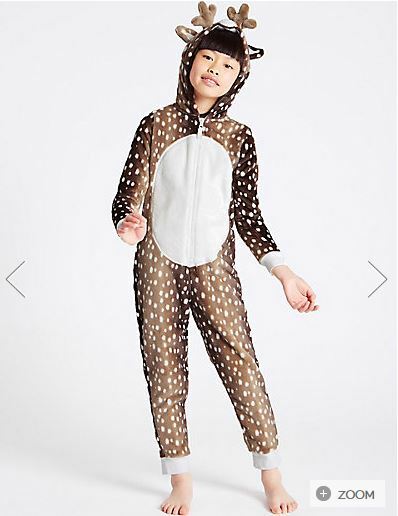 This reindeer one from Marks & Spencer is unusual and festive without being overly Christmassy. Sizes start at 1-2 years and go all the way up to 15-16 years! As a petite woman, this is an exciting prospect for me as both my daughter and I could have matching ones! The cost of these varies from £18 to £27, depending on size. I have a bit of a thing about wooden toys. Autumn has some lovely plastic toys that have all sorts of lights and noises. However, I think there’s something nostalgic about wooden toys and it encourages more imagination. 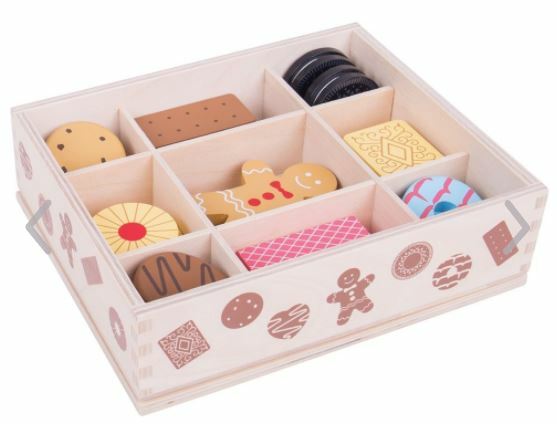 I adore this Bigjigs Box of Biscuits! With custard creams, Oreos, party rings, pink wafers and other favourites, it looks almost good enough to eat! It retails for £15. Who doesn’t like Scalextric? With a 6 year age gap, this was one of the few toys that my brother and I both enjoyed playing with when we were growing up! 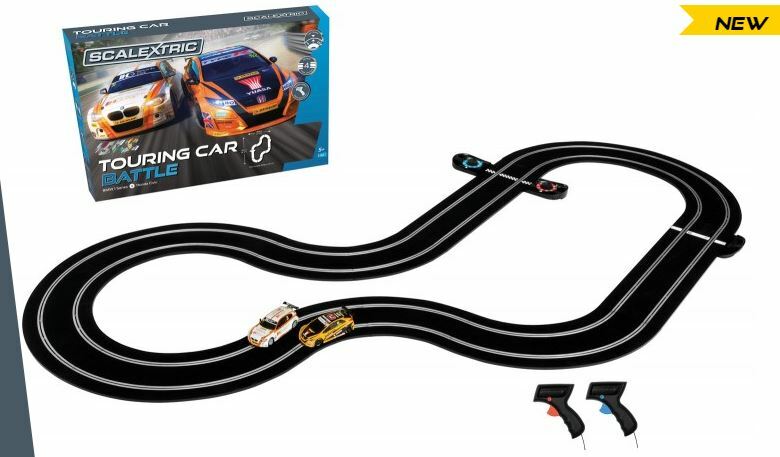 This BTCC Touring Car Battle Set, £99.99, comes with a BMW 1 Series and a Honda Civic. This would be a fantastic game to play as a family at the dinner table on Christmas day! You have to try and get as many of your coloured balls on there as you can, but it’s trickier than it looks! I tested it out at BlogOn in September and loved it. Do your research for the best deal, but it retails for around £21.99. I hope that this has helped to provide some inspiration for you! Let me know if you go ahead and buy any of these, hopefully your children will love them! Disclosure: This is a collaborative post with Skate Hut. As always, all views and opinions are honest and my own.